What is Pooling of Interests? 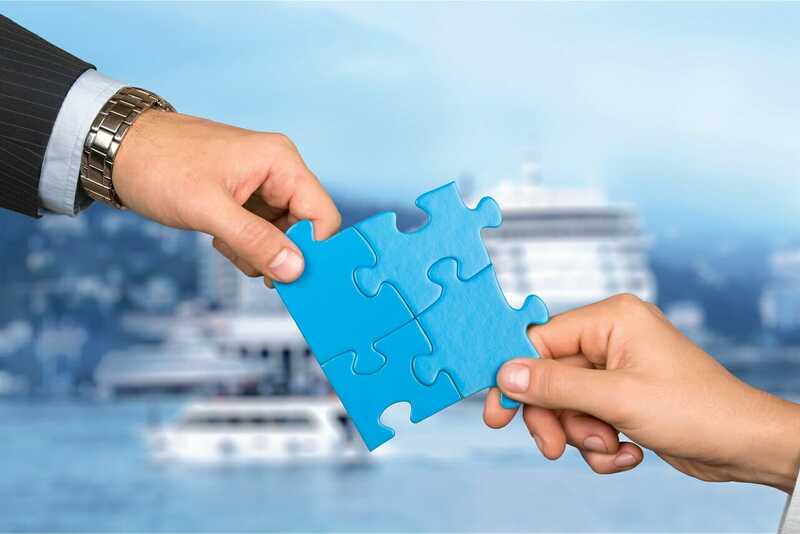 Pooling of interests refers to a technique of recording a merger or acquisition, whereby the assets and liabilities of the two companies are summed together and then netted. Historically, firms could adopt two approaches of accounting for consolidations or amalgamationsAmalgamationAmalgamation is the combination of two or more companies, known as a consolidation. In accounting an amalgamation, or consolidation, refers to the combination of financial statements. For example, a group of companies reports their financials on a consolidated basis – the purchase method and pooling of interests. Before being phased out by the Financial Accounting Standards Board (FASB) in 2001, pooling of interests was the most preferred technique because it resulted in high earnings for the surviving firm. Essentially, the pooling of interests method involves combining the balance sheetsBalance SheetThe balance sheet is one of the three fundamental financial statements. These statements are key to both financial modeling and accounting. The balance sheet displays the company’s total assets, and how these assets are financed, through either debt or equity. Assets = Liabilities + Equity from the two firms into one. The assets and liabilities are recorded according to their respective account balances as recorded on the balance sheet. It is usually followed by a revaluation of the historical financial statements. One thing to note is that intangible assetsIntangible AssetsAccording to the IFRS, intangible assets are identifiable, non-monetary assets without physical substance. Like all assets, intangible assets are those that are expected to generate economic returns for the company in the future. As a long-term asset, this expectation extends for more than one year are not incorporated in the consolidated balance sheet. The only time the assets are included is if they had already been recognized in the statement of financial position of either one of the firms. As a result, no goodwillGoodwillIn accounting, goodwill is an intangible asset. The concept of goodwill comes into play when a company looking to acquire another company is willing to pay a price significantly higher than the fair market value of the company’s net assets. The elements that make up the intangible asset of goodwill is recorded in relation to the business combination. Any expenses incurred during the amalgamation are to be included in the firm’s comprehensive income statement. Before the discontinuation of the pooling of interests method, there are certain sectors that preferred the technique to the purchase price one. Pooling of interests became particularly popular in 1998 when it comprised 52% of all deal volume, which was equivalent to $852 billion. One sector where the approach was used extensively was technology. A vast majority of technology firms used the pooling of interests technique so that they didn’t need to record any expenses arising from the acquisition. This approach also made earnings look better since no reductions of the goodwill were recorded. In turn, it helped to increase returns on equity and assets. As already mentioned, FASB, which is the organization that establishes and interprets generally accepted accounting principles, abolished the pooling of interests method in 2001. The accounting body ruled that all business combinations would be accounted for using the purchase price method. The move was part of a shift in the accounting industry, which led to the adoption of fair value accounting. However, it was greatly opposed by the business community. The relevance of the change in the accounting methods, as well as the reason for the business community’s opposition to the change, resulted from the manner in which goodwill was treated under each approach and the subsequent effect on reportable earnings. Under “pooling of interests,” the statements of financial position for the two companies were simply summed together, item by item. Any cost that was paid above the true market price of the assets was not recorded in the business combination, and subsequently, did not need to be paid off or expensed. Conversely, under the purchase price method, any premium that was paid above the standard price must be accounted for in the acquirer’s statement of financial position as goodwill, which would then be amortized and expensed over a 20-year period. So, while the pooling of interests technique caused no impact on reported earnings, the latter approach meant that there would be goodwill amortization expenses. The FASB’s decision to replace the pooling of interest with the purchase price technique resulted from a need to improve the quality of information made available to investors and other users of financial statements. The FASB alleged that under the modified purchase price method, the underlying aspects of business combinations would be reflected accurately to investors. Without said crucial details, investors were often left in the dark because they could not establish the true cost of one firm purchasing another. Pooling of interests is mainly applied when the process of combining businesses is in the nature of a merger. However, if the process is taking place in the form of a purchase, then the purchase price method is used. In pooling of interest, the balance sheet presents assets and liabilities at their book values. However, the purchase price approach records the fair market values of the assets and liabilities. Under pooling of interests, the assets and liabilities of the two businesses are combined. However, with the purchase price approach, only the assets and liabilities of the acquirer noted down. With pooling of interests, no changes are made to the identity of the acquired company’s reserves. However, under the latter technique, the identity of the acquired firm’s reserves will change, with the exception of the statutory reserves. Pooling of interest is a method of accounting where the assets, liabilities, and reserves are summed and then recorded at their historical values. It differs from the purchase price technique, wherein the assets and liabilities of the transferor firm are recorded at their market values. Pooling of interests is often employed in mergers while the purchase method is used in acquisitions.